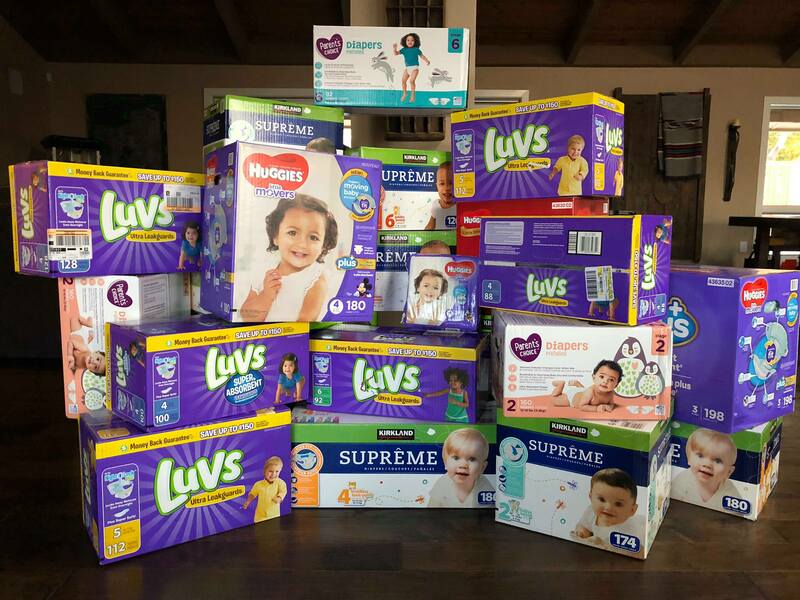 “We’re so proud of this outpouring from the community — a community that clearly cares about the struggles facing local moms and babies — and we’re also beyond grateful to our partner drop-off locations,” said Estipona Group President/CEO Edward Estipona. Participating drop-off locations included: Cathexes, Discovery Museum, Downtown Vision, Immunize Nevada, Junkee Clothing Exchange, Our Center, Sippees New & Used Kids Clothes, Fleischmann Planetarium, Outlet Bargain Market, UNR Knowledge Center, Dolan Kia, Dolan Lexus, Dolan Mazda, Dolan Toyota, Prospect Education, Create & Peace. Love. Hair., Katie Grace Foundation, Nurturing Nest, Rounds Bakery, Scolari’s Caughlin Ranch, Beauty Boutique Salon & Spa and Sparks City Hall. The inspiration for the drive: The knowledge that clean diapers are an obvious necessity for families with babies and young children, but they can be cost-prohibitive. That’s where WACCS steps in with its diaper bank, which is accessible to women who meet income requirements and take classes designed to help them escape poverty. WACCS has seen first-hand that children without access to clean diapers can develop severe and painful diaper rash, and some children have even developed kidney problems. Not having clean diapers can also affect the mental health of both the mother and the child, and it can interfere with bonding. The increase in stress and added financial burdens can decrease a woman’s progress toward escaping poverty. Click here for more information about WACCS.